This piece is “prompted” by a request for submissions on mentors. I originally wrote about my mentors in an essay included in my book, Halfway Home The First 50 Years. I’ve had a few teachers all through school that took an interest in me. There were numerous teachers that said things that resonated with me and impacted my thinking and my desire to learn and to uncover my own gifts and talents. As an adult professional career woman, I had two significant mentors. In real estate it was my office manager Marianne. She took a real interest in my success and in me as a woman and as a mother. At that time, my mid-twenties I had never known anyone quite like her. She was a socialite and a southern belle. She had adult children and was a part of Junior League and other elite social community groups. Marianne believed in me, she was different from my family and other teachers in my life. As a strong and successful female corporate executive she was also one of the most diplomatic people I ever encountered. The take away for me with her was that I was worth it, I was good and I was good enough. She supported me and in her support I was truly successful. Marianne was genuinely happy for me when I did well and sympathetic and supportive when I struggled. She was everything you would want in a female role model. Because of her I was a better Realtor and a better friend and a better mother. Her support trickled down to my child as she attended “grandparents” day to support my daughter and she was there when that same child graduated from high school. She was successful and came from a place of strength. Marianne had a lot to offer and I was easily mentored by her. The next very important person in my professional life was the President and C.E.O. of a special needs school; Dr. Ross. He was my mentor into the world of not for profit work. He taught me to think differently and he taught me that even the most broken people in our society, those with educational and emotional challenges had value. Unlike much of my Italian and Catholic upbringing he didn’t judge people. He lifted them up. He never lost his childlike enthusiasm and the “I can do that” mantra for challenges. Dr. Ross took an interest in my success which ultimately supported his vision and the organizations success. He was both driven and disciplined. Dr. Ross and Marianne both shared one common trait in their ability to lift others up, and mentor them. They had such a high opinion of you and of your value and worth that you never wanted to let them down. In that single common trait they both brought the best out of the people that they managed, supported and mentored. They are positive, upbeat and driven. They come from a place of strength, placing value and challenges on the people that they work with. They are positive people that lift up every single person around them. I was fortunate to have had the opportunity to do more and to do better and to become more accomplished because of the mentoring support I received from both Marianne and Dr. Ross. They supported my success in two completely different worlds. One was total for profit business, real estate and the other the true social work model in not for profit work in a special needs school. 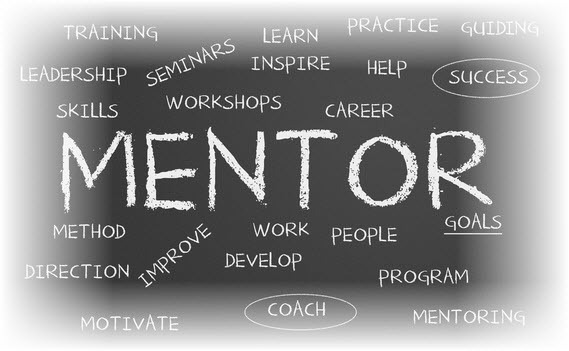 Great mentors are so important and without mine I would never have known the career success that I enjoyed. Paying it forward; as a result of the mentoring I received I have mentored many young people through the years. Young adults who worked as volunteers and as interns. I did my best to lift them up and to help give them the confidence to soar with their own strengths.